Welcome back to Top Five Wednesday! Top Five Wednesday is a weekly meme hosted by Lainey over at GingerReadsLainey and you can see the complete list of Wednesday-ers here. This week's topic is 'favourite things about blogging/booktubing'. The openness and friendliness of the bookish community is one of the main motivations that helped me to start my blog. I was reading a lot of blogs and watching a lot of BookTube and the things that stood out to me the most were how enthusiastic and kind everyone is and seeing all the great relationships that have formed out of just talking about books online! Since joining the community I've been introduced to some really great people and I really enjoy the interactivity of blogging. I especially love the conversations that are always happening on Twitter, whether it's just fun interactions or getting involved with big Twitter chats, it's just a great place to be! If you want to follow me on Twitter so we can talk books, you can find me at @sarahs_chapter, I'd love to get to know you! 02. Being creative with photography. One of the most surprising, but most welcome, things that I've learned since starting my blog is that I really really love taking and editing photos. I love accompanying my blogposts with well-thought out and styled photos and I absolutely love sharing them on Instagram (@sarahschapter). Photography is one of the things I look forward to the most when planning blogposts and it's something I really enjoy working on getting better at. Whether it's through social media interactions with other bloggers, opportunities from authors and publishers who've contacted me or just reading blogs, I'm always finding new books to add to my TBR. The majority of books that I've read this year are ones that I probably wouldn't have discovered without the blogging community and it's really helped me to expand my horizons in terms of genres and opened me up to reading more diverse books. This is kind of an obvious one, but keeping to a schedule and knowing I need to create fresh content three times a week is a great motivator in getting more reading done. Since joining the blogging community I'm inspired to read a lot more often and I even think I'm enjoying the books I read more, knowing that I can share and discuss them with like-minded people. I've also really enjoyed keeping track of my reading on Goodreads, seeing how much I've read this year makes me feel wonderful and just makes me want to read even more. Blogging has become a really important aspect of my life because it's something that keeps me motivated and helps me to establish a routine. I haven't spoken much about this on this blog but I've been struggling with my health for quite a long time and earlier this year I was diagnosed with ME (otherwise known as Chronic Fatigue Syndrome). This means that I'm limited in what I can do, normal things like running errands and socialising are very difficult for me and unfortunately at the moment I'm unable to work. So at 23 years old, I'm not really living the life I expected. Blogging is something I'm able to do as I can do it from home and on my own schedule, which means I can pace myself and only do it when I'm well enough. It makes me feel like I'm doing something productive with my life and I kind of treat it like my job (even though I'm not getting paid). I won't go on about my health much more but if you would be interested in seeing a blogpost about my experience with chronic illness then let me know. 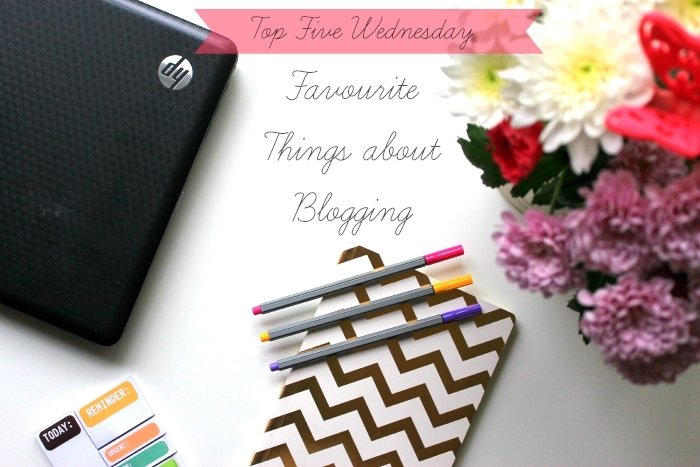 So those are my top five favourite things about blogging! 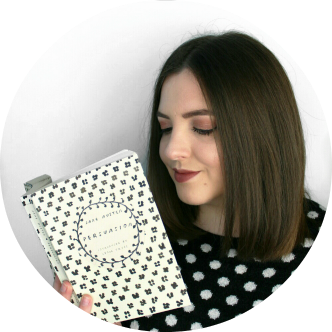 It feels so good to gush about blogging and the bookish community and I'm so excited to read and watch what everyone else has to say on the topic! If you've done a Top Five Wednesday post please link it in the comments below, I'm always looking for new blogs to read! Awesome list. I totally agree with number 5. I’m the type of person who likes to have a routine, and blogging provides a routine. 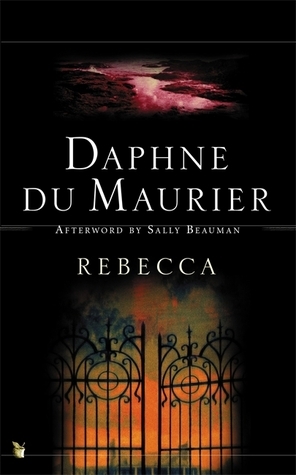 It gives me some time every day to think about the books I love.